With the Digital Marketing world changing all of the time, everyone is on a mission to make sure they keep up with all the latest Google algorithm updates and sometimes the SEO basics are overlooked. Everyone wants to improve their organic traffic to their websites, but most do not realise that significant improvements can be accomplished by simply looking at the basic SEO fundamentals of their website. Here are 3 basic SEO fundamentals that you can get right to improve your website’s SEO. Does your website have an XML Sitemap uploaded to it? If not, there are plenty of tools out there to create one such as XML-Sitemaps. XML Sitemaps are important as they help search engines move around and crawl your website. 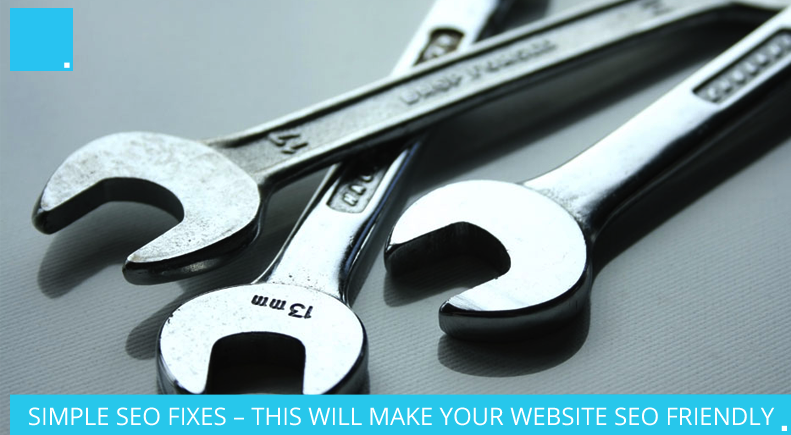 Not having one will make certain pages of your site not get indexed. Once the Sitemap has been added to the website, you should submit it to Google. This can be done via Google Webmaster Tools. Have you optimised your Meta Title Tags? The best way to optimise these is by making all of the meta titles unique, containing both the brand name and keywords. The titles shouldn’t be longer than 60 characters in length. This is so they can be fully visible on the search engine results pages. The next step is to optimise the Meta Descriptions. These should be no longer than 156 characters and must summarise the content featured on the certain page. They also must be appealing and persuasive for the user to click through to your site over a competitor. It’s true that meta descriptions are no longer a ranking factor for Google, so is a reason it gets overlooked a lot. However, click through rates from search engines are considered a ranking factor, and by making sure these are optimised, the traffic to your website will increase. Images are one of the most important and overlooked fundamental SEO basics. Media is an up and coming form of marketing, so getting this right now is key. With images, you need to make sure they all have ALT Text. ALT Text provides a description of the image to a search engine. Users can then find your website via image searches. It is also an opportunity to target certain keyword phrases from an SEO point of view. From previous experience, just making sure these basic SEO fundamentals are fixed will have a noticeably positive effect on the organic rankings of your website. Making sure you build a strong SEO foundation will have great benefits long-term for your website. If you need any help with any of the above points, then CDP, your SEO Agency in Sheffield can help. Send an email with your details over to jcoughlan@cdpcreative.com and we’ll call you back and discuss how we can provide you with support, advice and a partner to help grow your business.